To strengthen your security, iOS makes it easy to prevent certain features from being accessed and used from the Lock screen when your device isn’t unlocked. Before iOS 11, however, folks who didn’t jailbreak couldn’t protect their missed calls on the Lock screen. 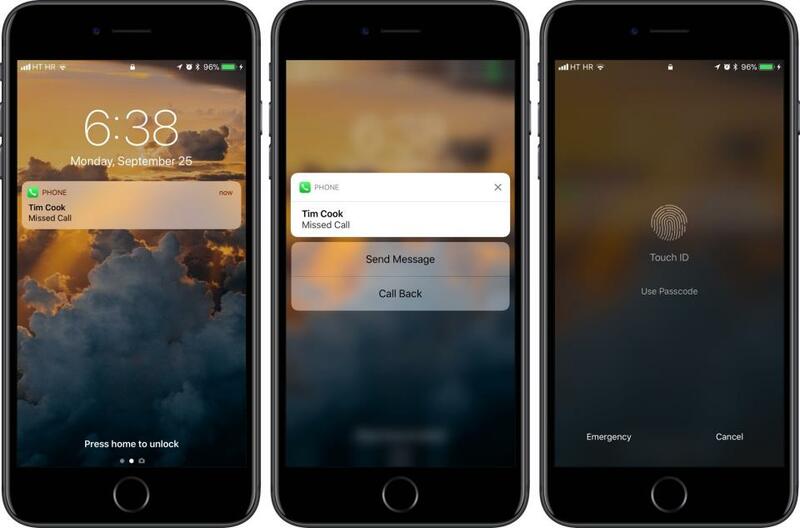 A thief who stole your device or a person in possession of a lost iPhone could simply tap a notification on the Lock screen in order to return a missed call. This is no longer case in iOS 11 and later, thanks to an optional feature that puts up a passcode or Touch ID prompt to verify that the real phone owner wants to return a missed call. Best of all, the feature protects all missed calls, not just cellular ones. Specifically, your FaceTime calls are protected, as are any missed calls from VoIP apps that use Apple’s CallKit API for Lock screen integration, such as WhatsApp, Viber and so forth. 2) Tap on Touch ID & Passcode, Face ID & Passcode or Passcode (depending on the availability of biometric features on your device). 3) Below Allow Access When Locked, slide Return Missed Calls to the OFF position. Now when the device is locked and you tap a missed call notification, you’ll be asked to enter your passcode or pass Touch ID verification before the call can be returned. NOTE: Be sure to toggle Return Missed Calls off. Toggling it on will make it possible to return a missed call from its Lock screen notification even when your device is locked. For further protection, disable the Reply With Message feature. Doing so will require a passcode/Touch ID before replying to the caller with a message from the Lock screen.